For Vancouver-based veg folk, we know a lot of the ins-and-outs when it comes to dining as a vegan in the city. We can find the special spots in any particular neighbourhood, immediately know which menu to reference, and are well aware that sometimes, the smallest or most unassuming places are the true gems. For new Vancouver residents, those passing through, or a brand new member to the veg community; these secrets take a while to become accustomed to. Here are our top 3 favourite vegan (or vegan-friendly) spots- classified by their respective Vancouver neighbourhoods. The Smallflower Bakery and Cafe (47 West Hastings, IG @smallflowerbakeshop): A “cousin” cafe to the infamous Wallflower on Main Street, Smallflower is a (almost completely vegan), gluten-free cafe. The glory of the sandwiches ( hello BLT and BBQ tofu options!) 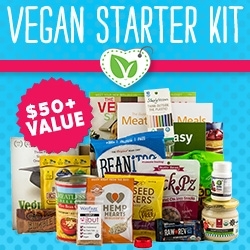 is undeniable, as is the charming selection of vegan goods and grocery items that we all know are incredibly challenging to find, both locally and for reasonable prices. Vegan Pudding Co (422 Richards, @vegan_pudding_co): What do you get when you mix a base of kabocha squash, creamy coconut milk, and a selection of rotating flavour infusions? Perfect pudding. Say goodbye to questionable, mysterious textures, and say hello to one of the most delicious and unique sweet treats in the city, which has been going strong since 2011. All organic ingredients in this mix, including cups and cutlery that are all BPA free, Non-GMO and compostable. The Acorn ( 3995 Main Street, @acornvancouver): Though I have always been a fan, The Acorn had my heart for life when they introduced a rotating Mac and Cheese, to celebrate #MeatlessMonday. In addition to being one of the pillars in the city’s veg scene, The Acorn boasts an lovely staff, beautiful plating, and the topper: waffles. Radicle Juice (3088 Main Street, @radiclejuice): Before acai bowls were hip and happening, Radicle Juice was bringing them to Vancouver on a mainstream and widespread level. Case in point: the Island: Acai or Pitaya, blended with Coconut H2O, Banana & Coconut Oil. Topped with Granola, Banana, Pineapple, Coconut Flakes, and omit the bee pollen. Purchase your own tumbler for reduced prices on smoothies and juices! Sweet Cherubim (1105 Commercial Drive): The Sweetest of them all, this cafe and adjoining store is a longstanding Vancouver staple. Known for massive portions (lentil and stew platters in particular), Sweet Cherubim is home to vegan (and lots of) gluten free baking, and the infamous California salad: a mountain of vegetables, nuts and seeds, Daiya shreds, avocado, and the classic Sunshine Dressing. Bandidas (2781 Commercial Drive, @bandidas_taqueria): Bandidas is the classic. We’re talking one of the best places in the city to bring any of your skeptical friends or family members (” What? How do you live without cheese though? ), the go to for a platter of nachos, and equally, a great option for a healthy rice/bean/veggie bowl (burrito in a bowl option), or brunch. Keep an eye on the dessert board for veg-friendly specials and (drumroll) standby for new 24 hour status this Spring! East Van Pizza (1417 Commercial Drive): Sometimes, you need a pizza. Or two. Sometimes, you need this pizza to match the cheesy, ooey-goeey tendencies of its non-vegan predecessor. This is when EVP comes in. Meet the East Van Vegan: Daiya, green peppers, tomatoes, Red Onions, Mushrooms, Black Olives, Pineapple, and sauce. Add an extra order of veggie meat and have an avocado on hand at home to top it all off (naturally). Body Energy Club (multiple locations, 746 Davie): We live in a culture where smoothies cost upwards of $10 (minimum.) There is no denying the nutrient-packed potential of these beverages, but add “vegan” to the order and you’re looking at another $2 or $3. Enter BEC. The options are endless, the sizes are significant, and the customer incentive program keeps you coming back. There is NO additional cost to add veggie protein (no WHEY, dude), and the adapted Chocolate Monkey is a weekly staple. Zend Conscious Lounge (1130 Mainland, @zendlounge): Zend Lounge opened a few months ago, boasting the proud title of being the only 100% vegan restaurant on the block in Yaletown. On the same branch as Bandidas, Zend is the spot where you could come as a vegan, bring your non-veg people, and satisfy them completely; ensure they have the Warm Nacho Cheese Dip and the Bean ‘Tacos’. Don’t miss out on the 5 Spice Pear Pancakes (featured on the Brunch menu), or the ever-rotating Cheese Board. Lime and Moon Pie Co (1066 Mainland, @limeandmoonpieco): Sinfully Sweet Peach Pie, Organic Apple and Raspberry with Chocolate Crust, Heavenly Apple. Need I say more? Sejuiced (1958 West 4th): Sejuiced is bright, inviting, cozy, and full of nutritious, well-portioned (and prices) meals and drinks. From the scrambled tofu to one of their infamous Yogi Bowls, Sejuiced has become a Kits staple without the inevitably higher Kits prices. The Empress Salad: a mountain of greens, red pepper, grilled tofu, spinach, alfalfa, red onion, cucumber and sesame seeds. Don’t dismiss the selection of veggie burgers, made in house of an almond-grain combo. The Naam ( 2724 West 4th, @naamrestaurant): The Naam is a Vancouver classic, and it has earned its position as such. None of us can deny a 3AM session of fries and miso gravy, Tuscan nachos with balsamic vinegar and sundried tomatoes, or the fact that they were one of the spots in the city to do vegan pancakes properly (stacked, with Earth Balance and maple syrup oozing down.) PRO TIP: ask the server to create a unique dessert for you, and witness true magic. East is East (3243 West Broadway): “East is East is a dream borne from the minds and hearts of Mustafa and Razaviah, siblings of Afghan descent. Escaping Afghanistan as a family during the soviet war, they relocated in India and traveled throughout the country absorbing the culture through its language, art and cuisine. Wanting to break beyond the conventional ethnic restaurants they encountered in Canada, they created East is East as a hub for strong men and women of diverse cultures to feel at home in a place that was beyond boundaries. Experience food, ambiance, music and art.” For a first time visit, the Chai tasting menu is not to be missed, with specific attention to the Chana Masala, and the spiciest, sweetest, perfect chai with almond milk. BuddhaFull Cafe ( 106 W. 1st Street, @buddhafullcafe): I grew up in North Vancouver, which means that my family and many of my friends are still rooted there. Every time I visit, making a stop at BuddhaFull is a priority. BuddhaFull has thrived, after opening in a part of Vancouver that was really getting used to the concept of plant-based eating as a whole. Seasonal smoothies and menu items compliment their base menu(s), and the pinnacle of it all: croissants. Similar to Smallflower, BuddhaFull offers a perfect roundup of ethical, local products- and did I mention the Sourdough Avocado toast? Bluhouse Market & Cafe (4342 Gallant, @bluehousecafe): Crepes have a special place in my family history. My grandmother made them for us, and I watched my mother, aunt and sister perfect the recipe, lecture me on ingredients, the perfect texture, and the perfect flip. To have (vegan) crepes back in my life is completing a piece that hasn’t been around for quite a while, and Bluhouse is the only spot in North Vancouver making them plant-based-friendly. Add a vegan-smoothie menu, daily bowls, and you have yourself the Deep Cove go-to for vegans and health-conscious folks alike. Two Daughters Bakeshop (121 East 1, @twodaughtersbakeshop): Two Daughters is not only locally opened and operated, it has a major story behind the reason why it opened in the first place. Dark chocolate and coconut cream truffles, lemon chia cheesecake, pizza pops, and more: examples of why this shop sells out on a regular basis, and has vegans flocking via the Seabus to stock up. Sincerely, and may you feast accordingly, with lots of avocado. Next round will feature Burnaby, Richmond, Langley, Coquitlam- and beyond.